Does anybody play board games and cards anymore, or is everything now electronic and iPad friendly? Call me old school, but we have quite a collection of board games. Granted they were bought with my first child pre 'i' anything days! Sounds like back in the dinosaur ages…but really it was only 10 years ago. Not THAT long ago! Well if you haven't heard it's been warm over here in the Northeast. Really unusual winter weather. Not complaining though! However, we haven't played with our board games since the last snow day back in March. Pretty long ago. 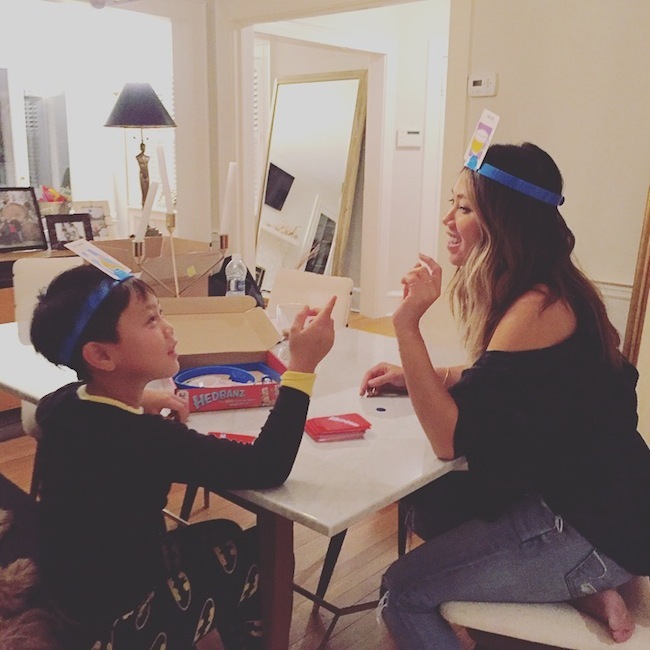 But since my lil' guys elementary school declares Family Night once a month with no homework, we decided to make it a game night this week. 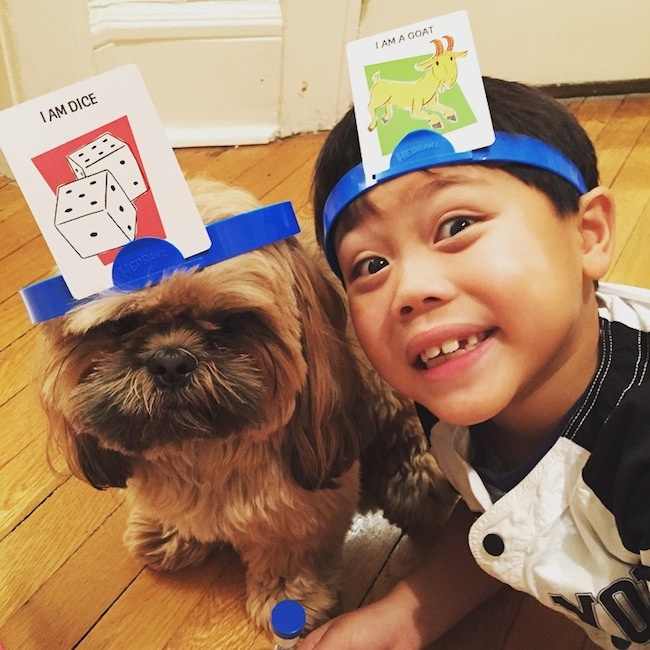 We played the classic Trouble, Uno and Hedbanz. Something all ages can enjoy. When my big guy had to buzz off and go finish his homework, my lil' dude got Eddy to take his place! HA. It was a fun night, full of laughter, a few tears, but in good company. I wish I would remember to pull out these board games more often to play with the kids. It is an interactive and educational fun way for everyone to bond. It's unfortunate we tend to forgot about them because we're so into our electronic gadgets. But one of my 2016 goals is to incorporate more screen free quality time together. I can benefit from less screen time too, not just the kids. How about you?